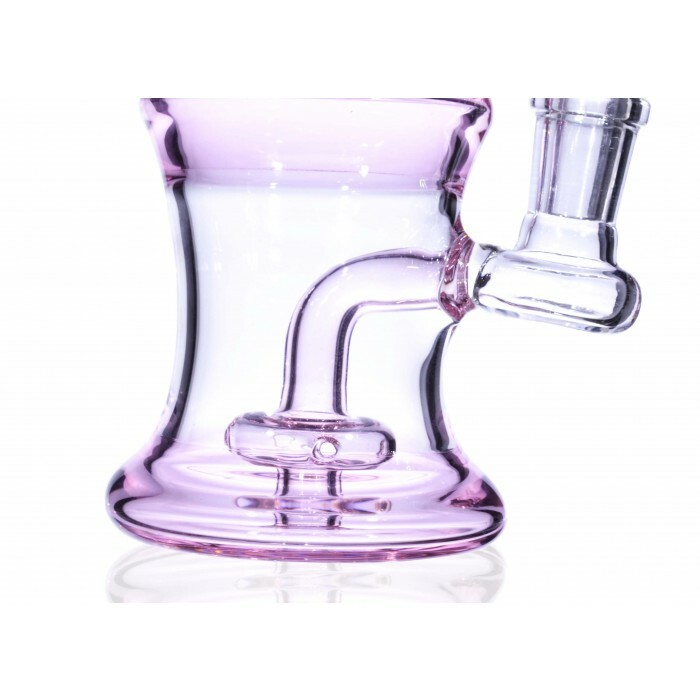 The Iced Pink - 7 inch Mini Water Pipe in Pink -The Greatest Online Smoke Shop! 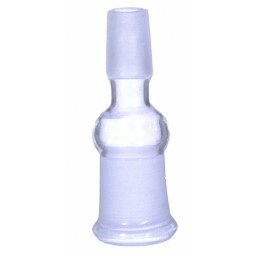 Convenient shape and size that does not compromise taste and smoothness. Blown with a inline circ perk to dramatically cool down smoke. 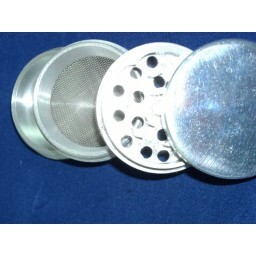 Has a 14mm female joint and comes with a 14mm male banger bowl. Blown with a circular perk to dramatically cool down smoke. 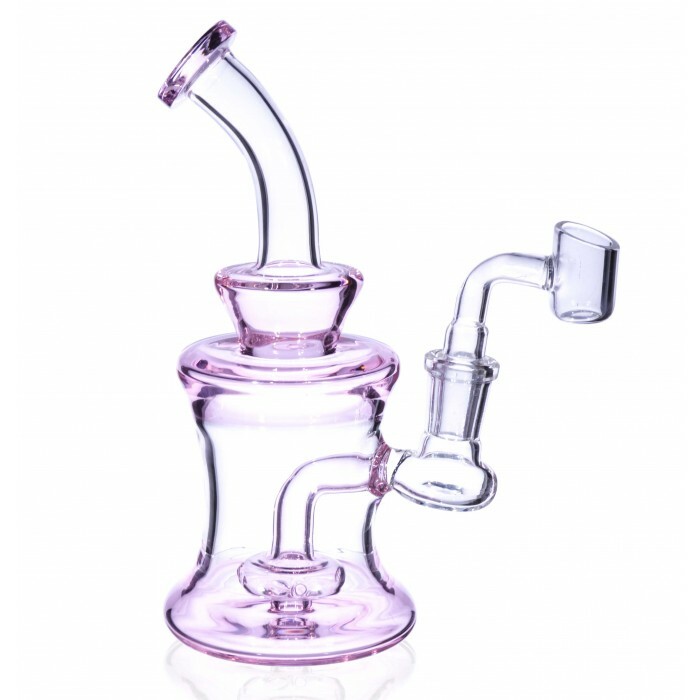 The Iced Rosé provides the perfect combination of cool smoke and high-density taste because of its intelligent design and the percolator blown into it. 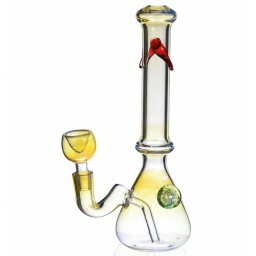 This is a convenient 7 inch mini water bubbler that comes with a banger bowl to give smokers maximized taste while keeping the heat cool and under control. Sometimes it can be difficult to control the heat of banger bowls, and smokers tend to hit the piece before the banger has had the time to cool down to the right temperature. 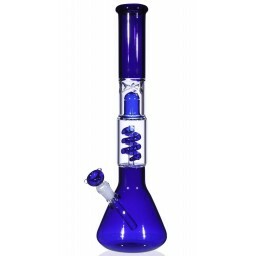 Luckily, this piece is blown with a nice Inline Circ Perc that’s designed to protect you and cool down the smoke before it reaches your lungs. 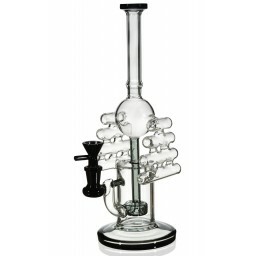 The Inline Circ Perc is a powerful percolator that has a cylinder base with different holes throughout. What this does is run the smoke and water through the small slits to break it down into smaller compartments. As this happens, the smoke is cooled down dramatically and the taste is much easier to taste. 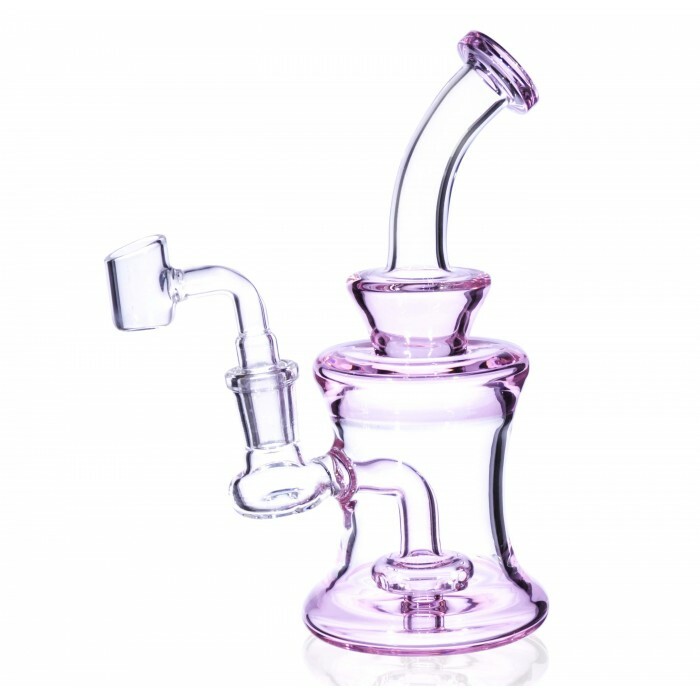 With this Inline Circ Perc, the Iced Rosé bubbler has the perfect setup to give you a high-tasting and easy-to-enjoy smoke. The designers blew this piece with a unique light pink hue that gives this mini bubbler yet another stand-out touch. The pink shades are accented on the glass so it’s not an overbearing color, but instead a slight touch of life that gives the bubbler personality and style. It’s a unique piece. 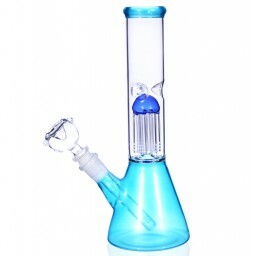 This is a bubbler with a convenient size yet the designers did not sacrifice style or function on this one as they gave it a creative color scheme and included an Inline Circ Percolator to make this a high-quality smoking experience. 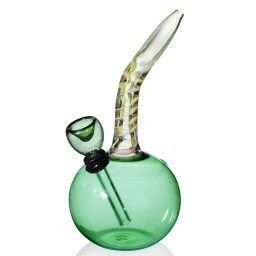 This bubbler has a 14mm female joint and comes with a 14mm male banger bowl.